Was 1975 really that long ago? I mean, really. We were just kids. Summers were hot, our parents not too old and we went everywhere on vacation. I always had a radio wherever we went. 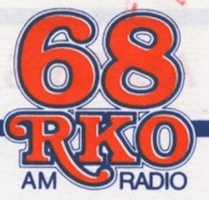 And I swear, everywhere east of my hometown picked up WRKO. this sounds so NORMAL to me. I must’ve been at that age when my eyes opened up to everything around me. Because everything seems right. The composite sure sounds right – pure WRKO Music People. Uncle Dale Dorman (that same Uncle Dale) heard in between cartoons on Channel 56, Johnny Dark, J.J. Jordan, Harry Nelson, J.J. Wright, Eric Chase. These guys played music all night and all day. There were no purity products to sell or people talking about Elvis sightings, Just all the fun that a hot weekend in New England could bring. Airchexx.com gratefully acknowledges the contributions of Steve Bleecker in donating this high quality recording. Thanks also to Andy Kitchen and Henry Frick for their roles in bringing this wonderful recording to our archives, so that all may enjoy and remember how radio was, and how it should be. Thank you. With all due respect…Dale Dorman got his start with Drake at KYNO in Fresno, not in the east. My Dad worked with him in 1966. Still a great memory maker. Many Thanks for sharing. dale was doing 7pm-mid in the summer of 1965 on WOLF in syracuse… across the dial from him on WNDR was bud ballou that summer as well. Dale was hillarious on WOLF in Syracuse as the link below will demonstrate. I wonder if his rivalry with Bud Ballou was friendly since he revealed his real name on the air. John S., you got it wrong. Not only did Dorman work at WOLF a couple of times in his career, he got his start at an even smaller market station in NY state before hitting Syracuse and WOLF.